It’s Queen Titania and King Oberon’s 1000th jubilee, and the seven Party Fairies are in charge of making the celebrations extra-special! But naughty Jack Frost has decided to sabotage the celebrations by stealing the Party Fairies’ magic party bags. 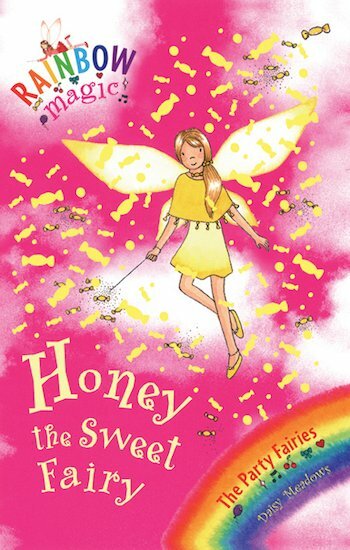 Can Rachel and Kirsty help Honey the Sweet Fairy to rescue her party bag, so that the king and queen’s party will have heaps of delicious sweets and treats? Honey is in charge of making sure the sweets of the world taste nice and to make sure there still are lots of sweets in the world. to make any party special you need sweets! this is a great book about honey losing her goodies for a jubilee!